A Sci-Fi Special 2000 AD is out this week! 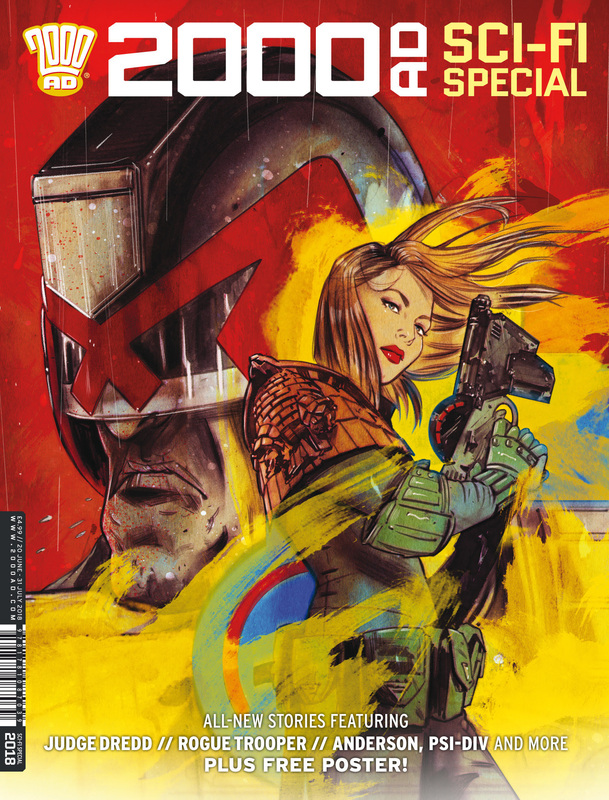 This month, 2000 AD is publishing an issue entirely created by women – from writers to artists, colourists to letterers. The 2000 AD Sci-Fi Special is a unique publication in more than four decades of the legendary SF action comic – a range of new and experienced talent, published together for the first time and featuring fresh voices on some of our most iconic characters. Alongside creators well-known in comics such as Babs Tarr, Alex De Campi, Leah Moore, and award-winning graphic novelist Tillie Waldon, there are new talents such as Katy Rex, Liana Kangas, Abigail Bulmer and Laura Bailey. Out on 20th June in the UK and 11th July in North America.